A new interview with Roxy on the Music Mania Podcast has been posted on Youtube. Topics discussed range from back in the day with Madam X and Vixen to Roxy's current projects. More on "Kilmister": there will be a lyric video posted at a later date, and a special limited edition vinyl 12" single coming in 2017 on EMP Label Group / THC : Music. 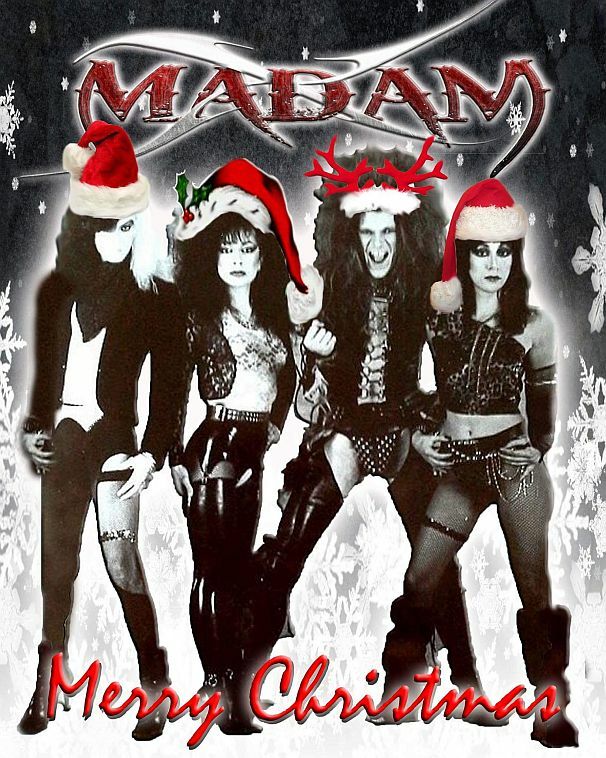 Merry Christmas from Madam X or Merry Madam Xmas you might say. A 30 second teaser can be heard on Youtube. Roxy and Maxine's previously mentioned special track is a tribute to Lemmy from Motörhead, titled "Kilmister". It was written by Roxy (lyrics) with Chris Fayz, Vixen's keyboardist (music). 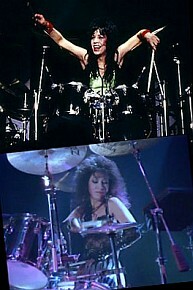 The recording line up was Roxy (drums), Maxine (guitar), Mark Slaughter (vocals) and Michael Pisculli (bass guitar). 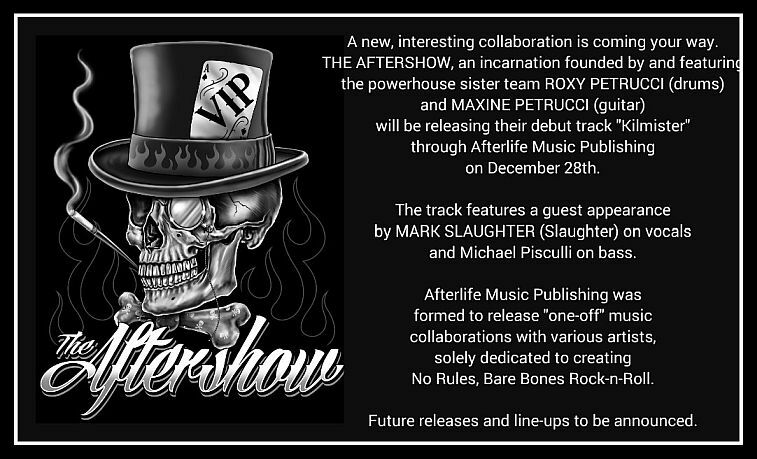 It premiered on KNAC.com on December 18th, and will be available for download later this month. 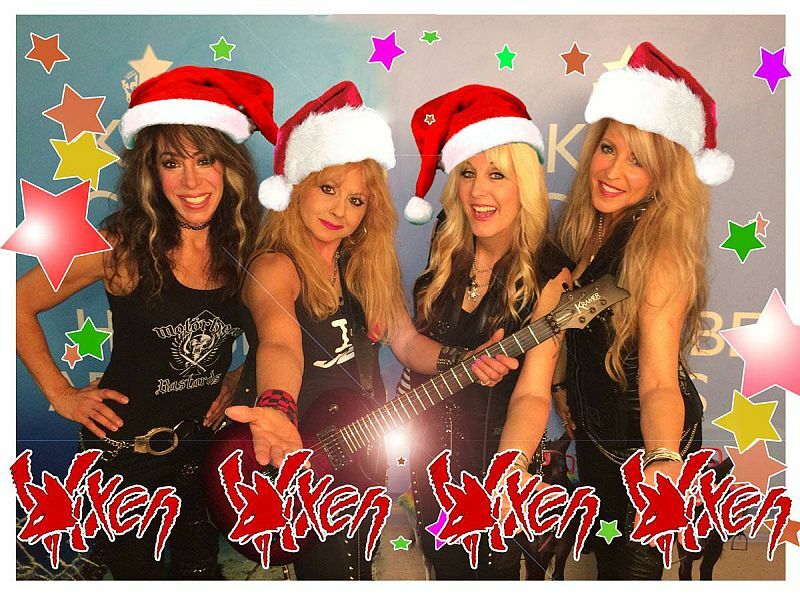 Christmas / Holiday Greetings from Vixen! Both Maxine and Roxy have said on Facebook that the upcoming Madam X record release is scheduled for February 14th 2017, so I think that can be regarded as fairly official! Vixen will be appearing at the M3 Rock Festival again, the 2017 edition, on Saturday, April 29th. Roxy has posted a video of her jamming along to her sister Maxine's tune, My QT. New date: Little River Casino in Manistee, MI on June 17th 2017, with Great White. Roxy and Maxine have been recording with Mark Slaughter and Michael Pisculli for "a special track to debut in December". Share's band Bubble have a gig in December, at the Vintage Tap in Delray Beach, Florida on Dec 2nd. According to a post on the Monsters of Rock Cruise Facebook, the Vixen Stardust Theater show is to be released as a live CD. Vixen have another show at the Mohegan Sun Casino Wolf Den, on April 27th 2017. Looks like Farm Rock Chicago at which Madam X were to play will not be happening. Seems the promoter has taken the money and run, and is under investigation by the FBI. 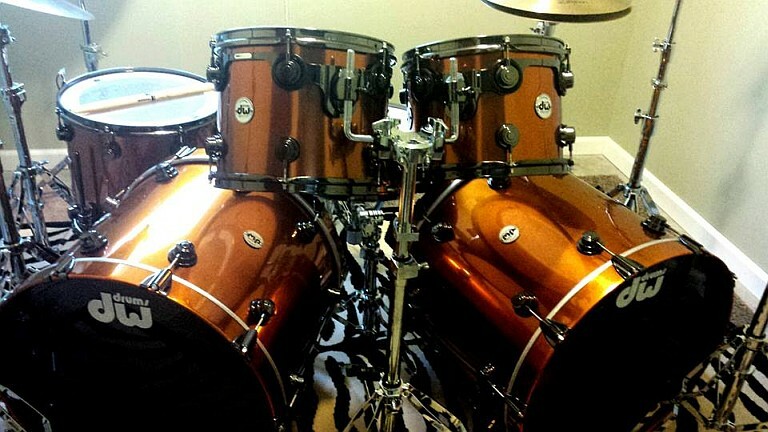 See these posts from Metal Sludge and Eddie Trunk. Plus a review of the RockTember Festival on Sleaze Roxx. Vixen have been added to the bill of Hard Rock Hell on November 11th at Pwllheli, Wales. Farm Rock Chicago at which Madam X were to play is being rescheduled to December - new dates appear to be Dec 15th - 17th, details to be announced soon. There's a review of Vixen's show in Versailles, Ohio up at Covering the Scene. Roxy has another guest appearance, this time on "In Times Of Olde" by Renaissance Rock Orchestra. She is featured on the track "Monique In Minor". The album is currently in the mixing stages. New Year's Eve show! Vixen will play at Fort Hall Casino, Fort Hall, Idaho on December 31st with Great White. But the show in Wendover, NV with Foghat on August 19th is cancelled. A teaser of a new Madam X song, MonstroCity, has been posted on Soundcloud by Roxy. 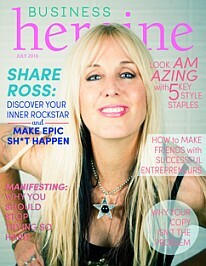 Share is on the cover of the July issue of Business Heroine magazine. Check out her interview here. A big gallery of photos from the Farm Rock Nashville show has been posted on Facebook by Absoluteddy Photography. Roxy is featured on the bonus track for the Japanese release of the album "The Four Seasons" by the Vivaldi Metal Project, released on July 20th. The song is titled "Beyond Eternity", based on Puccini's aria "E lucevan le stelle". Vixen will play at the Iowa State Fair in Des Moines, IA on August 12th. Latest date added is at Speaking Rock Entertainment Center, El Paso, TX on August 26th w/ Slaughter & Lynch Mob. One more festival show - Farm Rock Tulsa in Tulsa, OK on September 9th. Vixen are on the bill of the Hair Nation Festival, on September 17th at Irvine Meadows Amphitheatre in Irvine, CA. Also there is one Madam X festival show at Farm Rock Chicagoland on September 24th. Vixen will play at 'Roar on the Shore' in Erie, PA on July 15th. The August Nevada date does appear to be at the Peppermill Hotel & Casino in Wendover, with Foghat. A recent (well, just before the MoRC) interview with Share can be listened to at Gater 98.7fm on iHeart Radio. Another date is listed on Pollstar - August 19th at Peppermill Hotel Casino & Spa, Reno, NV. Not sure, but this might actually be at the Peppermill Concert Hall at Wendover. Here's a live video of a different song for a change, Hell Raisers at Daytona Beach. Review and photos of Vixen at the Mohegan Sun Wolf Den at Northeast Rock Review. Madam X photos from Monsters of Rock Cruise by Decibel Geek - slideshow or album. Latest show announced - Watertown Riverfest, Watertown, WI on August 11th. 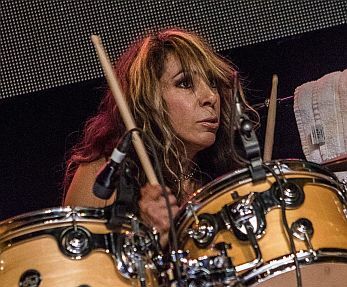 There's a recent interview with Roxy at Voodoo Queen Digital Magazine. Photos from the Mohegan Sun by Jason Manello on Facebook (login required). Madam X - High in High School from Monsters of Rock Cruise with (more) members of Vixen joining in at the end. Vixen - Edge of a Broken Heart at Mohegan Sun Wolf Den. 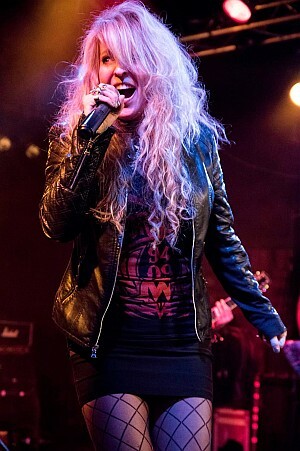 There is a review of the Anaheim show with Femme Fatale at Sleaze Roxx. And a review of the Sin City Sinners show with guest appearance by Janet at ZRockR Magazine. Videos of almost all the songs with Janet are on Youtube (only Edge of a Broken Heart is missing). See more photos posted by Janet on Facebook. A new song was played at the show, entitled Raise Your Hands, which should be released on the next Vixen album. Interview with Share (audio) by Catrina of Rock103. A review and photo gallery by HighWire Daze. 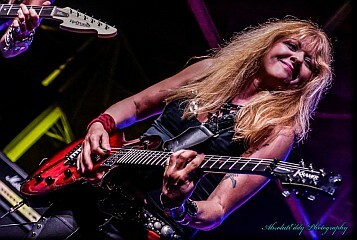 The full set of pics by Joe Schaeffer Photography from Vixen's show in Anaheim is now online. One new show - Daytona Bike Week at Dirty Harry's, Daytona Beach, FL on March 9th. Previous Vixen singer Jenna Sanz-Agero joined Janet & Vixen to pay tribute to Jan on Love is a Killer at the House of Blues Anaheim show. On December 23rd Janet made a guest appearance at Marisa's Xmas bash with "That Band". Here is video of her performing You Shook Me All Night Long (AC/DC) & Rock and Roll (Led Zeppelin). The Docker's Guild album that Roxy has guested on is finally being released. Full details of the album are here. Roxy plays on tracks 12 & 14, "Space-Patrol (Raumpatrouille)" and "Space: 1999 Year Two Main Theme". First pics from the House of Blues show, on Facebook (Joe Schaeffer Photography). For news from 2015 see archive12.